The first taste of the West Country for holiday-hungry Londoners, Dorset is one of our favourite places in the UK, and has a shedload of great places to stay, many of which are no more than two hours from the capital. Get off the train or out of your car and sniff the air: you've escaped! Picture this: a long sweeping driveway leading to a grand farmhouse and a group of homely self-catering cottages. Sounds appealing doesn't it? Laverstock Farm offers uninterrupted views out to scenic countryside – it's a relaxing place to escape. There are six cottages to choose from, plus two Shepherd's Hut if you're looking for a glamping experience. This hostel is situated in a grand Victorian villa, a short walk from Swanage beach, the only Blue Flag beach along the entire Dorset Jurassic Coast. It's a great budget option with comfy rooms, 11 which are en-suite. Here is a glamping destination with a difference, offering luxurious cedar-clad cabins and canvas lodges in a beautiful location. Not only that, owners Marc and Michelle will also take you out to discover the countryside on horseback. 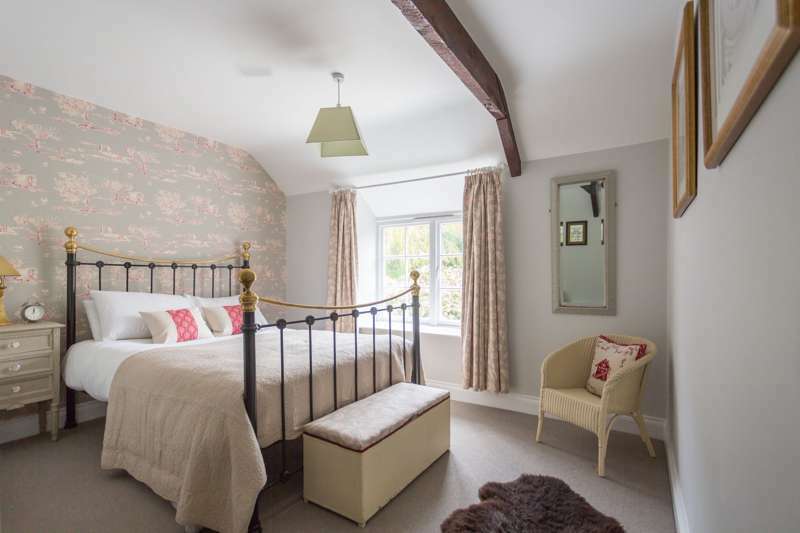 This collection of self-catering houses across Dorset are perfectly located to explore the Isle of Purbeck, hike the South West Coast Path, or simply enjoy the nearby beaches. The locally based team have over thirty years’ experience in the business, and to complete your stay can offer a variety of extras, from cake and wine to spa treatments. We just love Updown Cottage, and with the remake of Far from the Madding Crowd having done the rounds, there couldn't be a better place to stay – right in the heart of Thomas Hardy Country, in the picturesque small Dorset town of Shaftesbury, where the first version of the film was filmed (along with the iconic 1960s Ridley Scott Hovis advert, no less). England at its most bucolic, tranquil and in many ways unchanged. Dorset has lots of great places to camp, but somehow this one manages to stand out – a fantastic family campsite, spread over three separate fields adjacent to the Swanage Steam Railway line.